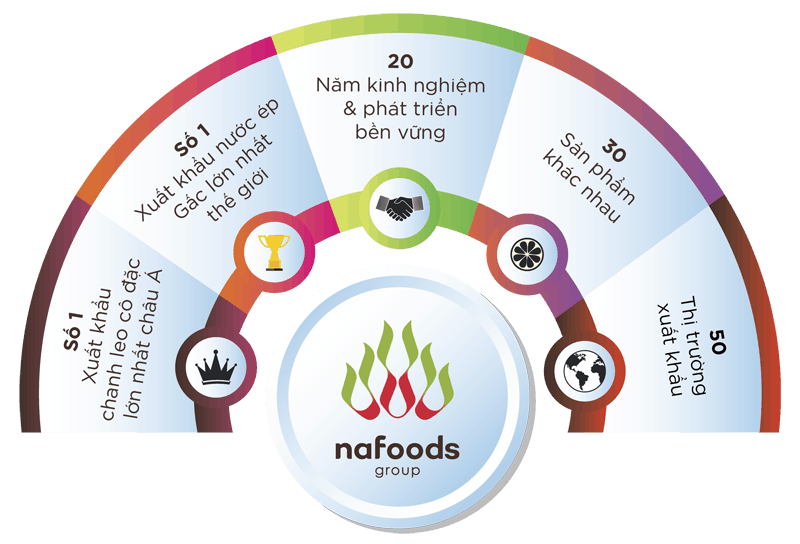 Founded in 1995, Nafoods Group is among the most innovative fruit and vegetable growers, processors and exporters in Vietnam, specializing in Fruit Juice/ NFC, Puree, Concentrate, IQF and Fresh Fruits. The success and growth of Nafoods Group over the past 20 years have been the results of the efforts and enthusiasm of all staff in the company, under the guidance and leadership of key personnel – the talented, brave and dedicated people for the mission and vision of Nafoods. 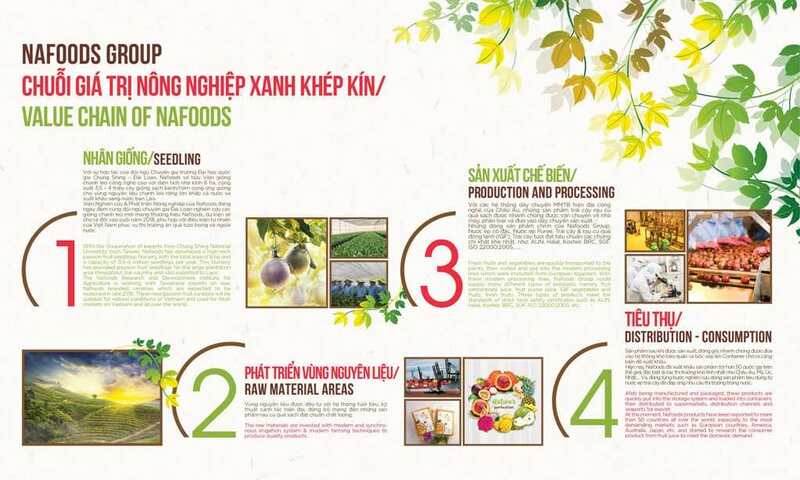 Founded in 1995 with a long history of establishment and development, Nafoods Group has affirmed the brand of agricultural products that have the competitive advantages of Vietnam in worldwide markets. Nafoods Group has identified the development strategy towards a green and closed agricultural value chain, thereby restructure and set up subsidiaries to operate in a specialized manner, each company undertakes a task/ a “chain” in the value chain.